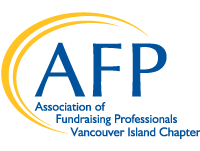 To post a job with AFP Vancouver Island please send a copy of your job description to our Chapter Administrator, Monica Powell. The fee to post a job is $150 for members and $225 for non-members. Job postings will be listed here for one month, emailed to the AFP Vancouver Island mailing list, and shared on AFP Vancouver Island Social Media pages.